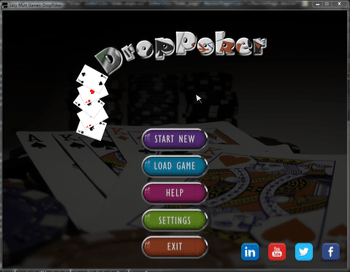 DropPoker is an original game produced by Lazy Mutt Games in 2018. 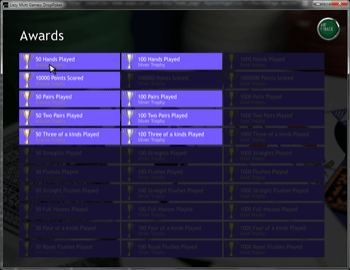 The concept behind the game is to find poker hands on a board 6 x 6 cards. As you submit the hands the hands are scored and added to the games score. 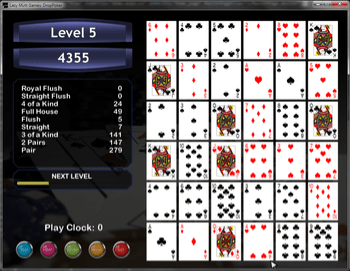 Depending on the difficulty level the user selects they could score a bonus on each hand. At this time the game is a single player game and can be played online or installed on a PC computer. The online version of the game limits the player to 20 levels of play. The full game has unlimited levels.